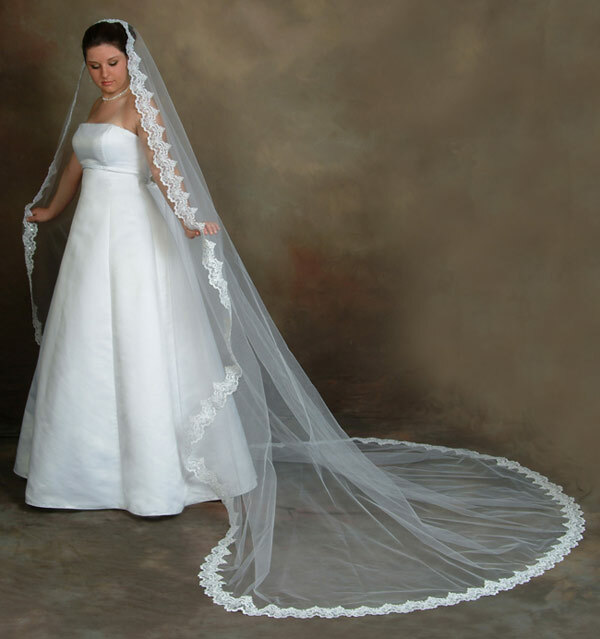 Let’s think about the veil the bride wears – it represents the closing off of the bride from her beloved until they are joined and become one. The veil that closed off the Holy of Holies in the Jewish Temple kept the people from the presence of God. God had them build this temple like this to show something very important. His people could not enter in to this Holiest place – they were not suitable, holy or righteousness enough to live in His presence – only the high priest could enter into this Place once a year with the blood of the slain passover lamb. Then Jesus, the High Priest and God’s final Passover Lamb, His Son, came – He lived among us and then died on the cross in our place. When He died both the Bible and history books describe how the temple veil was torn from top to bottom. God had something new to say – that this veil was now removed that kept us out of His Presence, the separation that sin had caused was over for all who would come to God through Jesus: we could enter into His Place, and live in His Presence forever. Isn’t it interesting that even today the bride wears a veil? God continues to have point in this veil – it is a living parable of our life as the Bride of Christ – it tells us that we are to remove our veils, we are to stop separating ourselves from our Beloved who loves us so passionately and well, who has all goodness and kindness in mind for us, who calls us to one life and way with Himself, the one Truth about our lives now. Here are three single short insightful paragraphs on this unveiling that has already happened in our lives. Because we are now the bride of our Christ, we are walking freely with Him, arm in arm, heart in Heart. To grow in grace just means to grow in experiencing what already has happened between Him and us, between Him and you. You live in His Place now – you live and move and have your being in Him. These words on this unveiling are from Jonathan Cahn and Oswald Chamber. First notice how Oswald words are really about this unveiling when he talks about how we are to leave all and follow Jesus. This was beautiful revelation to me today as I saw that Jesus’ call to the rich young man is really the Bridegroom asking His Bride to leave her family, her goods and receive all from Him – His Bride is not giving up anything in fact- she is simply leaving the much less for the immeasurable more of His Life – in this incident we are actually hearing Jesus calling us to remove our veil, to leave our old life where we were immersed in our poverty and self-absorption, destitute and alone; these lying thoughts are now only delusional obsessions that tear and pull causing us to think we are destitute, when all along we have the richness of real, full Life in Him right now. Then Jonathan talks about this unveiling. Finally, he shares an event from his own life, an happening in which we can see this much more worked out in practical detail, showing the result of this unveiling, our marriage with Him, the good works that now flow so naturally out from our oneness of heart and being, fruit of this intimacy following richly and sweetly, surely and wonderfully. So let us live so, deliberately, consciously in Him today, His Bride unveiled! “Sell all that thou hast and distribute unto the poor.” (Luke 18:22) There is a general principle here. We are always in danger of taking the particular reference for the general principle and evading the general principle. The particular reference here is to selling material goods. The rich young ruler had deliberately to be destitute, deliberately to distribute,- deliberately to discern where his treasure was, and to devote himself to Jesus Christ. The principle underlying it is that I must detach myself from everything I possess. The rich young ruler had the master passion to be perfect. When he saw Jesus Christ, he wanted to be like Him. Our Lord never puts personal holiness to the fore when He calls a disciple; He puts absolute annihilation of my right to myself and identification with Himself-a relationship with Himself in which there is no other relationship. Luke 14:26, ‘If any man come to Me, and hate not his father, and mother … and his own life also, he cannot be my disciple,” has nothing to do with salvation or sanctification, but with unconditional identification with Jesus Christ. Very few of us know the absolute “go” of abandonment to Jesus. Two words, the Almah and the Khatan are the principle figures in the ancient Hebrew marriage. The Khatan is the Bridegroom. Almah is Hebrew for the maiden, the virgin, who becomes the bride, who keeps herself veiled and hidden. This is a profound picture of us spiritually. We are born to be the bride, joined to God but too often we distant from Him, hidden and veiled. God is the Khatan, the one who joins Himself to us. He joins Himself to our sorrows, our burdens, our sins, our judgment When you see Messiah on the cross … that is the Khatan. Despite our distancing ourselves from God, He still comes near. Despite our sins, His love still joins Him to us. Remove your veil, unlock your doors, and open your heart and your life today to the Khatan. The presence of Heaven is knocking at the door to your heart and your life. Open up. Do not fear. You may be the Almah … but He is the Khatam. I was once doing a wedding, and as I always do I shared the Gospel and closed with a prayer to receive salvation. During the reception I was sitting at a table with others when a restlessness came over me. I had to get up from the table. I left and went outside for a walk. Outside, while I was walking a man approached me and says, “I’ve been waiting for you.” I said, “Well, I have been sent to you.” I ended up sharing with him about salvation. In the end he told me that when I led the prayer of salvation he had prayed with me, but became confused. He had been hoping that I would come to him and explain it. These are the thing that happened in the Book of Acts. They still happen today because we are still in the Great Commission and the Book of Acts continues. It is written that God has good works prepared for us, we just have to walk into them. There are Book of Acts experiences waiting to bless you. You need not to judge them, but to share the Gospel with them. Step out! Share the Gospel! They are waiting for you.